23-09-2011 BROTHERS IN THE BOOTH ROCKING @ NIKKI BEACH! 04-08-2011 VIDEO TEASER 'A DAY AT THE BEACH 2011' ONLINE! 14-03-2011 VIDEO 'IBIZA SUNRISE' IS NOW ONLINE! 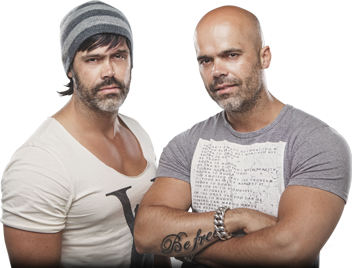 09-03-2011 ROGER SANCHEZ IS ALSO ROLLING IN THE DEEP!